Report by Xerces Society reveals population decimated 97% since the 1980’s, but acting now can save them. As a small child, nothing fascinated me more than the thrill of chasing a butterfly as it lit, flower to flower, in my mother’s gardens. Butterflies don’t really fly, they dance, frolic, cavort through their days. To my young mind, there was only one kind of butterfly, the exquisite Monarch. Richly dressed in robes of deep orange gold, trimmed with regal black. I didn’t know there were thousands of butterfly types. The resplendent Monarch is the king to me. A butterfly carries with it a kaleidoscope of meaning. The writing community has used this beautiful creature to symbolize a vast array of emotions throughout history. From the darkness of death to the light of new creation, the spectrum of human emotion that is illustrated by butterflies can’t be understated. It wouldn’t be frivolous to say that the butterfly is a beloved symbol, a particularly especial friend, to the writer’s world. Where we live now, we see a plethora of butterflies, mostly Monarchs. We are very blessed, I have learned, because the regal Monarch butterfly is on the verge of extinction. I read the latest report from The Xerxes Society and my heart dropped. Who is The Xerces Society? The Xerces Society is an international nonprofit organization that protects wildlife through the conservation of invertebrates and their habitats. We take our name from the now extinct Xerces Blue butterfly (Glaucopsyche xerces), the first butterfly known to go extinct in North America as a result of human activities. The Xerces Society report is pretty grim. As a data nerd, I appreciate that they release data, numbers, and real statistics. I have been following the decline of the Monarchs for a time. The Xerces Society is a science based organization. That means they deliver real data, real studies. They don’t inject all their data writing with spittle-flecked personal belief tangents. That itself is the sole reason I follow them and no other groups regarding the changes in the animal world from use of chemicals and GMOS, endangered species and the like. Their pragmatic delivery doesn’t make the newsany better, however, at least they deliver the plain truth. 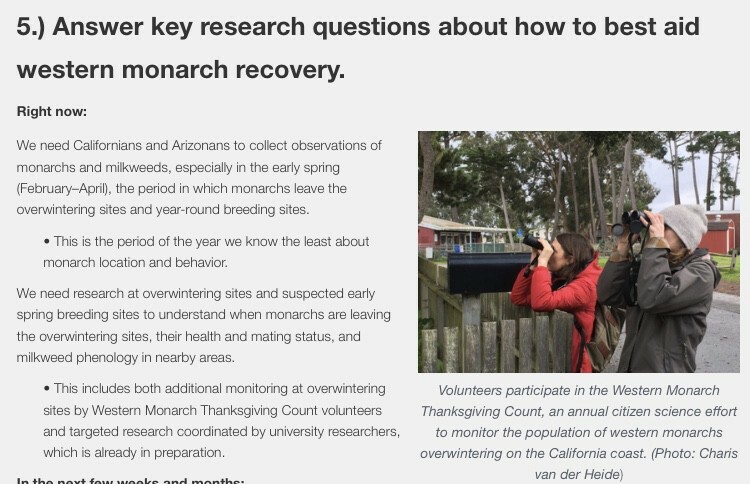 The annual Xerces Western Monarch Thanksgiving Count showed that the population hit a record low: Volunteers counted only 28,429 butterflies.This number is an 86% drop from the previous count done at Thanksgiving 2017, when 192,668 monarchs were counted at 263 sites (comparing only the sites monitored in both years) — and a dizzying 99.4% decline from the numbers present in the 1980s. The scale of this decline is dramatic enough, but it also is significant due to what it may signify: 30,000 monarch butterflies is the number researchers set as their most educated guess for the threshold at which the western monarch migration could collapse (Schultz et al. 2017). Whether or not the population can bounce back from this season will only become apparent in the coming months and years. While this year’s numbers are alarming, the real issue is the longer-term monarch decline due to stressors such as habitat loss and degradation, pesticides, and climate change — as well as other pressures on the migratory cycle of the monarch that we still have yet to fully study or comprehend. There are no quick fixes to solve all these large and complex forces, but we can still take actions NOW to help save the western population. As a hobby beekeeper, I appreciate their observations. We in the bee community have suffered bee collapse for completely unknown reasons over the past few years. The “mite” issue is not what has been causing bee colony collapses. We have suffered colony collapse before from mites. This isn’t mites. We are all puzzled. Yet… in looking over the Xerces action recommendations, I see a familiar foe. The main ingredient of which is glyphosate, which basically inhibits an enzyme responsible for protein synthesis in actively growing plants. The debate over this chemical’s safety for people has raged for decades and still is ongoing. Roundup is very good at eradicating pollinator plants. As is the other chemical repackaged for “Roundup resistant plants”, Dicamba. However, the EPA, despite being suedin 2014 by the National Resources Defense Council (NRDC) over Roundup use causing monarch butterfly colony collapse, rubber stampedthe reregistration this year of Dow Chemical’s “Enlist Duo”, a double herbicide that includes glyphosate. To be clear, neither I (or The Xerces Society) allege that Roundup is directly killing Monarch butterflies. 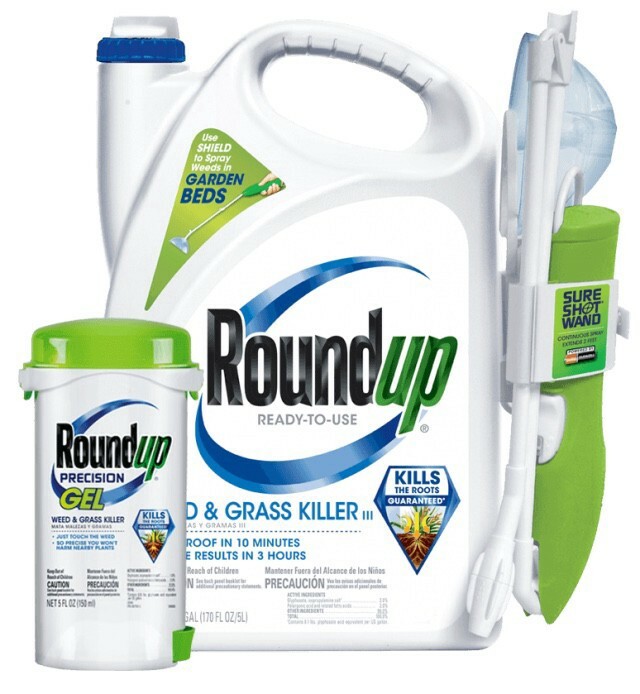 Roundup is, however,killing the primary food source of the Monarch butterfly, milkweed. So effectively that the entire species will likely be extinct within another 20 years. I say this after reading the other recommendations and observations of The Xerxes Society in their report. However, they have to be able to eat while they are adapting. The climate change issues have happened before to the species. Climate change, whether natural or not, has occurred. Urban sprawl; eco sprawl; farm sprawl? Probably not. Sure, if they had food. When even in the countryside, there is no food to be found, animals will die. This is also where it must again be made clear, it isn’t a progressive slowing of food availability. Or even an abrupt cessation, as a natural disaster would bring (meteor, cataclysmic event). This is an unnatural, extremely sped up event, that hasn’t shown any signs of reversing- whatsoever. This is an area where the general public needs to understand that there have been many advances made in the field of agriculture. Especially advances in the field of pest and weed management, without the use of created chemicals. The inevitable “feed the world” rhetoric seems to get brought into play when we attempt to discuss doing away with megafarms and industrial agriculture. I challenge that, and I think many people, when they use critical thinking, will at least be able to reflect on this topic further. 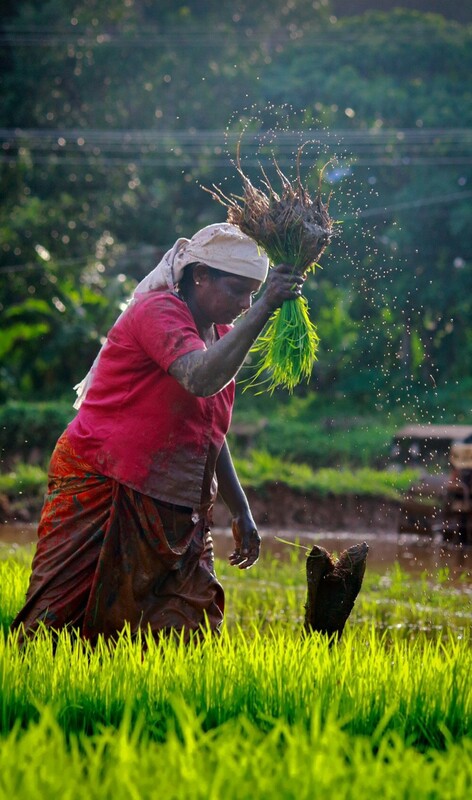 I believe returning to the use of smaller family farms in counties, rurals, townships, what have you… would largely “solve” the issue of “global hunger” and I am not alone in my thoughts. It would be much better for the farmers and the local economies, not to mention the habitats they live in. The mega corporations who sell chemicals and seeds for the fields to the farmers that are left have a vested interest in industrial farming, as they have used Congressionally created loopholes in an ingeniuos way. They essentially have locked down the market on their seeds, which in turn require the use of their chemicals, in a feedback loop that stretches into a frustrating cycle of perpetuity. A cash flow system that leaves some independent farmers on the brink of bankruptcy every harvest, but deposits huge dividends into corporate pockets. Saying “No to GMOs is really about much more than murky health principles. It’s taking a stand for American values of a true free market system, individualism, against monopolistic corporate practices, and a corrupt government. At the heart of all of this, is the Monarch butterfly. Threatened to extinction. A pollinator of plants, an inspiration to generations of writers and artists, one of the first beautiful animals remembered of lazy childhood summer days. So where do we gofrom here? Many little companies have begun offering amazing little starter kits, for even those with the blackest of thumbs, to try their hand at individual vegetable growing at home. Even apartment dwellers can get in on the fun. Even if it’s just in one clay pot, plant a milk weed. If you live in an apartment building, go down to the local park and ask if you can put in a pollinator garden, or you and a group can plan one, plant it. 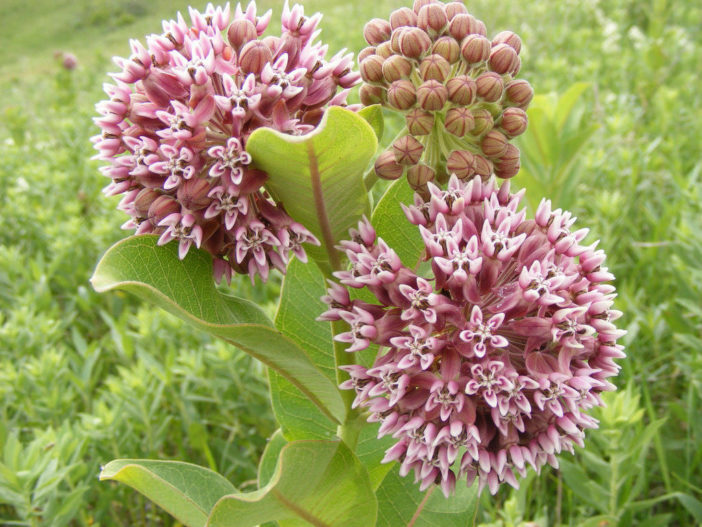 Be sure that there is at least one milk weed plant for your monarch butterflies. Many online seed companies offer open pollinated, heirloom seeds at great prices. The perilof our pollinators has gotten national attention at the grassroots level, and there have been several movements that have sprung up, like the“plant a million pollinators” movement. Get involved, dig in some dirt, and learn about their importance. It is not dramatic to say the human race depends on the pollinators. Foremost, check out the Xerces Society website, and if you live in Californiaor Arizona, they have some special needs and tasks for people who live there. Please reach out and see what you can do to help the Monarch population. The Xerces Society has asked the hashtag #SaveWesternMonarchs be used on social media such as Twitter, Instagram, Facebook et al., to help raise awareness. They also have a frameavailable on their Facebook page that can be added to one’s Facebook profile picture to show support. It may be very late, but at a grassroots level, I have seen amazing, impossible things accomplished. At the risk of sounding cliché, together, we can really make a difference. The beauty of the cavorting, regal Monarch butterfly should not become a memory, a video on YouTube, or a “remember when” of something beautiful that is gone. We should ensure its survival for all generations to come, if only to remind us of the beauty of that animal that dances throughout its day, its majestic wings gleaming in the sun.